This auger and digger does the work for you. Just attach the Roto Driller to any cordless drill 3/8 inch or larger to dig holes up to 7 inches deep x 1 1/4 inches wide with ease. Perfect for planting bulbs, bedding plants and seedlings. You can weed with it too. Take care of your garden faster with Yard Butler. CORDLESS AUGER DRILL BIT DIGS FOR YOU! Save time and energy. Use in any electric or cordless drill that can accommodate a 3/8" bit. No better tool for digging holes in your yard. 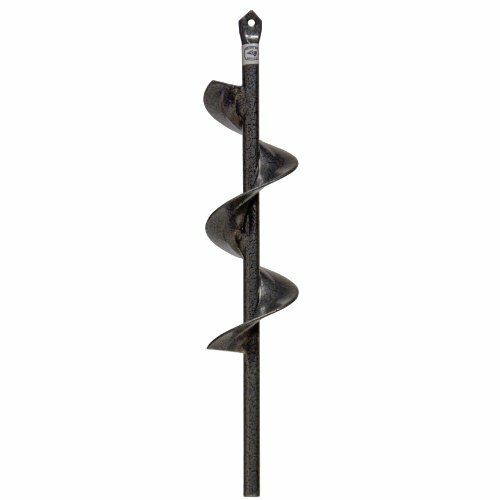 PERFECT BULB PLANTING AUGER FOR tulips, iris, bulbs, bedding plants, and seedlings. Also great for digging weeds up by the roots. Quickly digs holes up to 7 inches deep and 1 3/4 inches wide using the power of your hand held drill. EXCEPTIONAL QUALITY AND VALUE. This is the best bulb planting drill bit auger available. The heavy duty powder coated steel is built for a lifetime of use. Three flats on the shaft keep the auger from slipping. BUILT TO LAST. Powder coated durable steel construction, 9" tall, 1 3/4 inches wide, and weighs 1 lb. YARD BUTLER'S NO RISK 30 DAY SATISFACTION GUARANTEE. If it is not perfect for you, return it for a full refund or replacement. DOUBLE HH 23556 Extension Pot Adapter, 1-3/8"